In fiction, a “twist” is a surprise or something out of the ordinary. 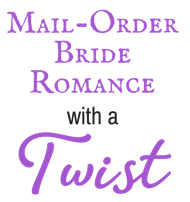 So, what’s out of the ordinary about the mail-order bride situation in Sophia’s Leap-Year Courtship? Chadwick Hug[h]es is the local Union Pacific Station Agent and although people see him as an eligible bachelor, he hides a secret that holds him back from pursuing women. Therefore, he thought he would overcome his problems by ordering a mail order bride. The only problem is that the bride never existed and he’s now out all of his money. On Release Day (“Book Birthday”) of a new title, I typically share the opening scene or chapter of the new book. Sometimes, as with Gunsmoke & Gingham that came out last week, I shared the opening two chapters, because Amazon’s Look Inside Feature (sharing the opening percentage of the book) showed much of Amelia C. Adams‘s title…but didn’t get as far as mine (in the middle). Want to know more about Amazon’s Look Inside feature? 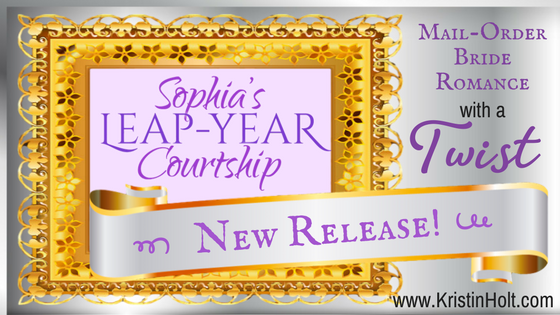 As it’s release day, and the Look Inside Feature is LIVE for Sophia’s Leap-Year Courtship, and you can read the opening scene(s). I want to go a little further and share a middle scene of this book with you. Sophia walked beside Chad, who’d insisted on seeing her safely back to the boardinghouse. The houses they passed were dark. Clouds slipped by the windy skies, mostly blocking the waning moon. A freezing north wind cut straight through her coat, woolen suit, and layers of petticoats. She never wanted their time together to end. On the far side, Chad strolled with her bicycle rolling beside him. Why had she bicycled to his house? If she’d left the machine home, his hands would be free at that moment to put an arm about her waist or to hold her hand. Their evening of celebration had sped by. She tipped her face to the cloudy sky, noting pinpricks of starlight in gaps between clouds, and cradled his secrets close to her heart. Light, lacy snowflakes drifted downward, caught on her eyelashes, and dampened her cheeks. When had she ever been this happy? After tonight, she could imagine the beauty of belonging in that lovely two-story house. With Chadwick. Their courtship, begun on a dare, was well along its way to permanence and joined lives. In the back lot of the boardinghouse, he hefted open the carriage house door and helped her stow her bicycle. Her assigned stall was at the end of the row where other boarders paid to shelter their horses. Her eyes had adjusted to the darkness. With the doors shut, and out of the wind, the animals’ bodies kept the space cozy. It seemed utterly natural to step into his arms. He held her against his heart for several long minutes as if he, too, were hesitant to part. He waited in silence. She wished she could see his expression. Was he regretting kissing her? Or worse, allowing her to kiss him? He swept a curl back from her cheek. The warmth of his hand surprised her. He’d removed his gloves. His touch heated her clear through. Saying the words couldn’t change what had been hidden in her heart from the very beginning, from the day he’d entered her office seeking legal counsel. She’d done just what she’d warned herself not to do, to protect herself, her heart, to safeguard her role as his attorney. But she hadn’t been just his attorney in a very long while. Not since she’d fallen in love. The recognition of her feelings, the intensity and intimacy of the label, should have terrified her. To love meant vulnerability. Risk. A disastrous fall if he proved less committed than she. He touched her beneath the chin and, with gentle pressure, lifted her face to his. She pushed up on tiptoe, meeting him halfway, craving his kiss. The pleasure of his mouth upon hers was still so new, so fresh and she so untried. Hope bubbled up within her. Hope that the closeness between them was as real as it seemed…that he was the one-in-a-million who might actually look at her and see an appealing woman. She wanted his kiss, wanted more of them, to set all decorum and propriety aside. She knew well that kisses, among proper ladies and gentlemen, were reserved for those who were engaged to be married. Some even said a first kiss should be shared at the wedding. Trifling with kisses was improper. And all she wanted was to climb on top of his boots and kiss him more deeply. She understood all he didn’t say. Knowing how she affected him thrilled her. For the first time in her life, she felt more a woman than ever before. The Leap-Year Ball wasn’t for another two weeks and two days. Their courting had escalated with the force of a runaway freight train, and now she doubted her ability to go long without seeing him. He’d become far too important to her, too quickly. For all the world to see. Every last person who roomed here. It made her feel special, almost as if he’d courted her first. “Goodnight.” She squeezed his hand, then reached for the knob. Maybe, just maybe their fledgling romance was precisely the right fit. Victorian Dancing Etiquette Photograph of a Hero–on SweetRomanceReads.com Victorian Leap Year Traditions, Part 1 Victorian Leap Year Traditions, Part 2 Bicycle Built For Two Women on Bicycles Victorian Bicycling Etiquette Introducing the Real Sophia Amelia Sorensen…and her cookie jar Book Description: Sophia’s Leap-Year Courtship Victorian Lady Lawyers–on Sweet Americana Sweethearts Educated Heroines Bring Conflict First Historical Use of Term “Correspondence Courtship” Is it Okay to Use O.K. in Historical Fiction? Congratulations on your new release, Kristin! 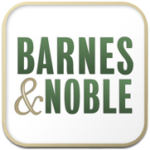 This is such a great book and I know all of your readers will love it!